Julia Defoor, a programming student at Sheridan High School, was recognized on April 17 for her outstanding abilities in computer science by the National Center for Women and Information Technology (NCWIT). At a dinner held at the Uark Bowl Event Venue in Fayetteville, Defoor was among 19 students in Arkansas who received the NCWIT Aspirations in Computing Award. The award recognizes outstanding young women at the high-school level for their computing-related achievements and interests. 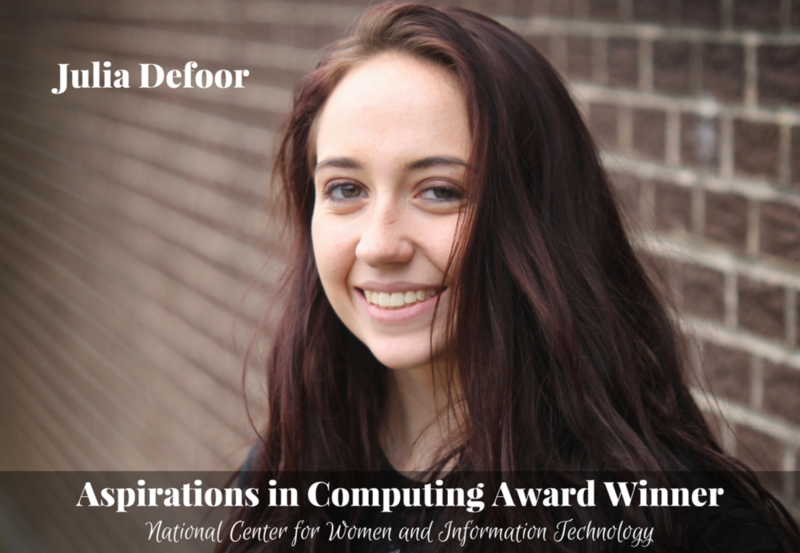 Defoor has many accomplishments when it comes to computing, but she says one of her greatest is the program she and her programming team created for the Girls of Promise Tech for Good competition last year. Defoor is currently working with a group of classmates on a program for the Sheridan High School counselors. This program will help counselors at future CAPS Conferences, where students register for the next year’s classes. After high school Defoor plans to study mechanical engineering at the University of Arkansas at Little Rock.